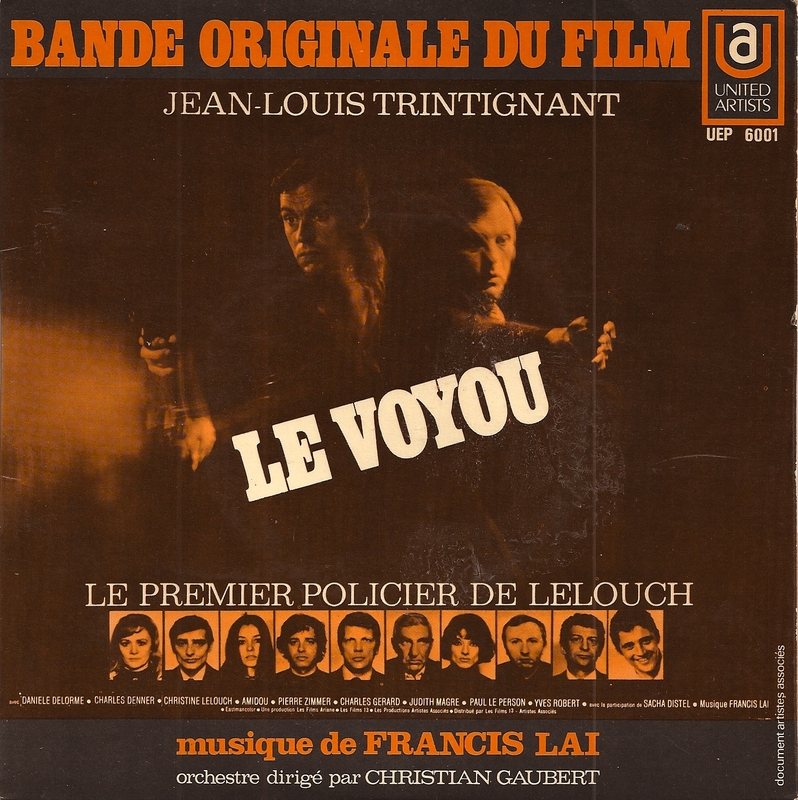 Francis Lai never made among break diggers favorite French soundtracks composers. He's more a specialist of lush orchestratal music, with a sometimes tendency for cheesy melodies (ie Love Story). 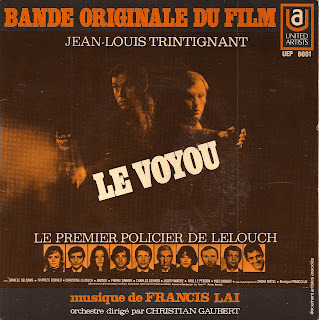 Anyway, among his huge discography, some nuggets can be found, like this 7" that serves as soundtrack to Claude Lelouch 1970 thriller, Le Voyou. 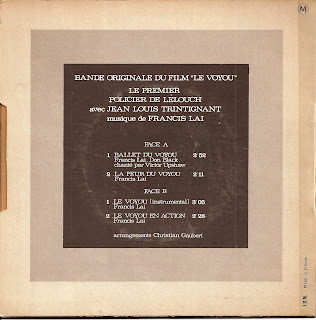 The first track, Ballet du Voyou starts with a flamenco like guitar and then morphs into an orchestral pop number with a strong bassline and nice breaks. 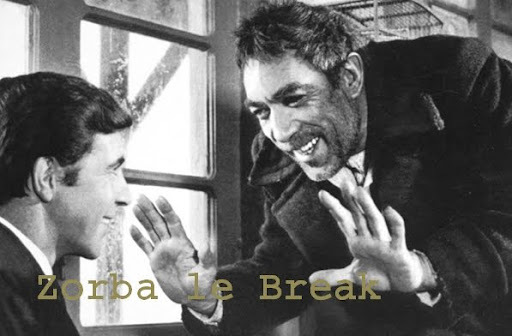 La Peur Du Voyou is a march that easily stands among the best Italian OST of the time. 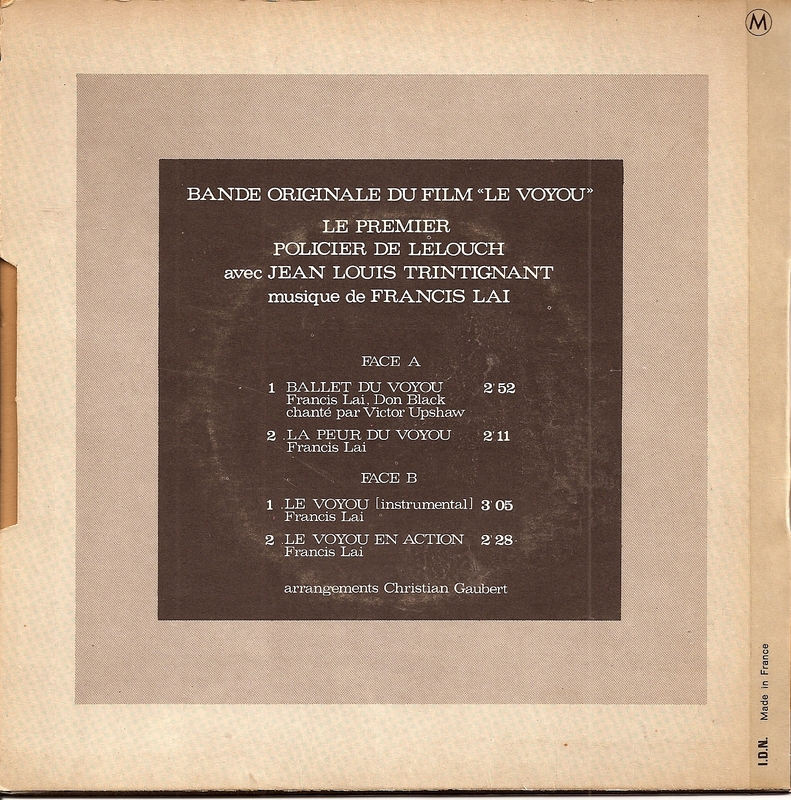 On side two, you've got the weel kown instrumental song, called Le Voyou, and then Le Voyou En Action, the kind of track you expect to find on a 70's French soundtrack. Essential work.